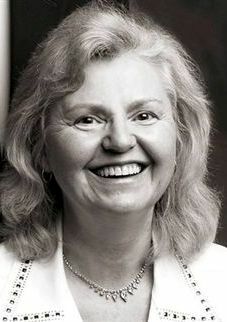 I’m thrilled to welcome author Anna Markland back to my blog (you can see her previous post here). Not only is she a fellow Canadian, she’s one of the fourteen members of Love Historicals, a group of authors I’m honored to be part of. Thanks for visiting again, Anna. The blog is yours. Take it away. Thanks for having me as a guest, Margery. Great to visit with a fellow Canadian. Iâ€™d like to talk a bit about the medieval practice of exchanging good faith hostages. It was common for allies to exchange hostages as a guarantee of support. Children were often chosen for this role, especially those of royal houses. They were deemed to be valuable assets that a king would not jeopardise. There is a well documented incident which illustrates how such an exchange can go horribly wrong. In February 1119, Eustace and Juliana of Breteuil, formerly allies of Henry, threatened to rebel unless they were given the castle of Ivry-la-Bataille. Juliana was one of King Henryâ€™s many illegitimate children. Henry promised Eustace the fortress and, to show good intent, exchanged hostages, Eustace and Juliana’s daughters being exchanged with the son of the castle’s constable. According to the chronicler Orderic Vitalis, Eustace then blinded the constable’s son, whereupon Henry allowed his illegitimate granddaughters to be blinded and mutilated. Eustace attempted to mobilize his forces and defend Breteuil against an attack by Henry; despite this, Henry took the city and Juliana fled, after unsuccessfully attempting to kill her father Henry with a crossbow. This tale also illustrates how brutal life could be in those days. My latest release, Fatal Truths, is based on a hostage exchange. It is the long awaited story of Alexandre de Montbryce, grandson of the hero of my first book, Conquering Passion. Alex is a rich and powerful Norman nobleman, haunted by a troubled past. He has sworn never to marry. Elayne arrives from Scotland, masquerading as nursemaid to her own children, handed over by King David as good faith hostages. Neither she nor her children are who they purport to be and only lies can keep them alive. ELAYNE DUNKELD FUMED INWARDLY, but held her tongue as she and the children were ushered into the opulent chamber assigned to them, surprised not to hear a key turn in the lock when they were left alone. Tears threatened as she sat Claricia on the bed, tossing her playd onto a chair. The warmth of the familiar woolen garment had strengthened her during the interview with the Comte. It was a link with her homeland. She combed her fingers through her hair, stifling the urge to scream out loud. â€œWhatâ€™s wrong, maman?â€ Henry asked, clamping his arms around her thighs, his head on her belly. Henry wandered over to the armoire, naked in the warm chamber. Elayne smiled wistfully, thinking of the future when her son would be a manâ€”no longer comfortable strutting bare-arsed in front of his mother and sister. She prayed they would all live long enough to see that day. Out of the mouths of babes. It was a cruel irony that her father-by-marriage, the great King DabÃ­d mac Choluim had been only too anxious to consign his bastardâ€™s children to Normandie. Pick up your copy now on Amazon. 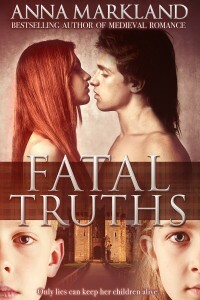 Find out more about Fatal Truths on Anna’s bookshelf and learn more about Anna and her other books on her website and on her page on the LoveHistoricals site. Follow her on Twitter and Like her on Facebook. Thanks for joining me today, Anna. Best of luck with Fatal Truths. Sounds like a great book. I can’t wait to read it. I dislike the idea of using children as hostages. It isn’t a great way to keep friends because children are so precious esp. during the middle ages when the death rates were so high. Thank you for the information and what a timely post. I can’t imagine as a mother how terrifying a situation like this would be! I’m looking forward to reading Fatal Truths to see how your heroine handles it! Fascinating. I knew about hostage exchanges but not the one you mentioned. How horrible! Thank you for sharing your wealth of knowledge. Looks like this one will be another best-seller Anna. It sounds facsinating. Thanks everyone for your comments. In some ways we haven’t progressed much since them. Look at what is happening to the children in Syria for example. They are hostages of a different kind. Thank you for reminding me just how good we have it in the present day. Just imagine the outrage should a modern day leader try to do the same thing with his or another leader’s children.